The best canned tuna I’ve had, hard to go back to other brands once you’ve tried Wild Planet. 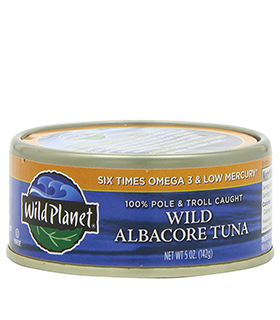 Cheaper and less mercury than albacore tuna so if you like the taste skipjack is a good way to go. More omega-3 fatty acids than Alaskan pink salmon, but also more expensive. 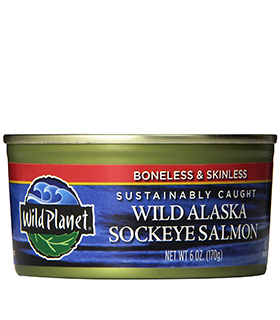 Nutritionally similar to sockeye salmon but cheaper. Extremely nutritionally dense, ketogenic friendly, and low in mercury, sardines are a nutritional powerhouse if you can handle them. 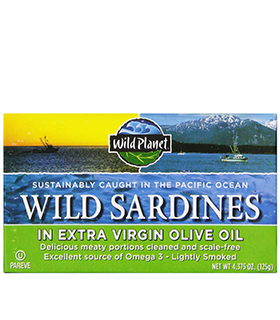 A newer Wild Planet white flesh fish, skinless and boneless for those who get the heebie-jeebies from sardines.